We are taking an in-depth look at the Atlantic Coast Conference’s Atlantic Division after looking at the Coastal Division on Tuesday. The Atlantic looks competitive, just like the Coastal division, with any one of four teams having a chance. Below is the schedule of previews completed and those still to come. Let’s take a closer look at the seven teams in the ACC Atlantic. Dabo Swinney took over in 2009 and has done a wonderful job for Clemson. He has led them to a bowl game each year in charge, but the last few years have been excellent. The Tigers have won at least 10 games in each of the last four seasons, won the ACC Championship in 2011, and been to two Orange Bowls. Will 2015 be more of the same? The offense has seven starters back including the big pieces on offense. Deshaun Watson was injured last year, but managed to throw for 1,466 yards and 2 touchdowns while also rushing for 200 yards and 5 touchdowns. Wayne Gallman is back to run the ball after rushing for 769 yards and 4 touchdowns with CJ Davidson (248 yards and 3 touchdowns), Adam Choice (218 yards and 1 touchdown), and Tyshon Dye (151 yards and 2 touchdowns) all back as well. The top three receivers return led by Mike Williams (57 catches for 1,030 yards and 6 touchdowns) and Artavis Scott (76 catches for 965 yards and 8 touchdowns). Three starters are gone from the offensive line. Clemson put up 30.8 points and 408 yards per game in 2014 and they should best those numbers with Watson healthy this year. The worry for Clemson is on defense where only three starters are back after allowing 16.7 points and 261 yards per game in 2014. The defensive line was ravaged by losses with no starters back. Shaq Lawson recorded 34 tackles, 3.5 sacks, and 7.5 tackles for loss last year in a back-up role. The line is a big worry this year. Linebacker will have Ben Boulware back after recording 40 tackles, 1 sack, 4 tackles for loss, and 1 interception. The secondary has three starters back led by Jayron Kearse, who had 60 tackles, 3 sacks, 2 tackles for loss, 5 pass breakups, and 2 interceptions. The defense is less experienced and they will not match last year’s incredible numbers, but will still be formidable. Clemson opens the season with Wofford and Appalachian State coming to town before they begin ACC play. The other two non-conference opponents are much tougher against Notre Dame at home and South Carolina on the road. Clemson has to face Louisville, North Carolina State, and Syracuse on the road while taking on Boston College, Florida State, and Wake Forest at home. They also draw Georgia Tech (home) and Miami (road) from the Coastal, but they can win both of those games. Clemson is picked to win the ACC Atlantic, but their margin for error is small. Dave Doeren came to North Carolina State in 2013 after two season at Northern Illinois. Doeren led the Wolfpack to a 3-9 record, but made a big jump last year to 8-5. Doeren’s coaching has clearly been effective in both the win column and the numbers on paper. 2015 is the third year for Doeren and could lead to a surprise. The offense went from 22.8 points and 404 yards per game in 2013 to 30.2 points and 409 yards offense per game in 2014. There are seven starters back in 2015 (same number as 2014) including at the skill positions. Jacoby Brissett threw for 2,606 yards with 23 touchdowns while keeping the interceptions low at 5. He ran for 529 yards and 3 touchdowns and is back along with the top two rushers last year. Shadrach Thornton ran for 907 yards and 9 touchdowns while Matt Dayes had 573 yards and 8 touchdowns. Tight end David Grinnage is the top returning receiver with 27 catches for 358 yards and 5 touchdowns. Bra’Lon Cherry had 27 catches for 354 yards and 3 touchdowns while Dayes was fourth on the team last year with 32 catches for 321 yards and 5 touchdowns. Three starters are back on the offensive line and the development of two more wide receivers will likely lead the offense to higher numbers in 2015. The defense went from 30.2 points and 399 yards per game in Doeren’s first season in 2013 with only five starters back. Last year, the defense improved to 27 points and 373 yards per game with seven starters back. There are eight starters returning this year. Mike Rose (46 tackles, 5 sacks, 9 tackles for loss) and BJ Hill (40 tackles, 1.5 sacks, and 6 tackles for loss) will be back on the line. Jerod Fernandez is the lone linebacker returning. He was second on the team in tackles last year with 78, but also recorded 3 tackles for loss, 2 pass breakups, and 2 interceptions. The secondary returns intact with all five starters back. As a unit, they gave up 205 yards passing per game and allowed 55.8% completions. Strong safety Josh Jones had 56 tackles, 1 sack, 7 pass breakups, and 4 interceptions last year. The defense will continue to improve in Doeren’s third year. North Carolina State has an easy non-conference schedule. They open with Troy and Eastern Kentucky at home before facing Old Dominion and South Alabama on the road. In conference, they will face Louisville, Clemson, and Syracuse at home while facing Wake Forest, Boston College, and Florida State on the road. They draw Virginia Tech (road) and North Carolina (home) from the Atlantic, which are not easy games. However, the Wolfpack have improved under Doeren and the third year is usually the magical year for coaches. The Wolfpack will pull a few surprises and getting Louisville and Clemson at home helps. NC State is a dark horse contender in the ACC Atlantic. After Bobby Bowden’s retirement in 2009, Jimbo Fisher took over and the Seminoles have been consistent since then. Florida State has failed to register double digit wins only once in 2011 when they went 9-4. FSU won the National Title in 2013 before losing in the College Football Playoff semifinals last year. 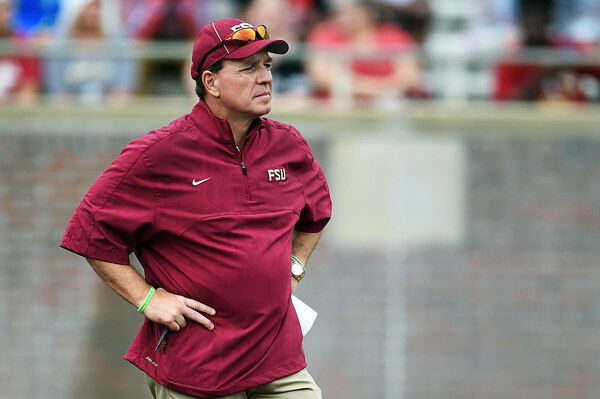 Fisher has continued to recruit well, which could mean another dangerous FSU team in 2015. 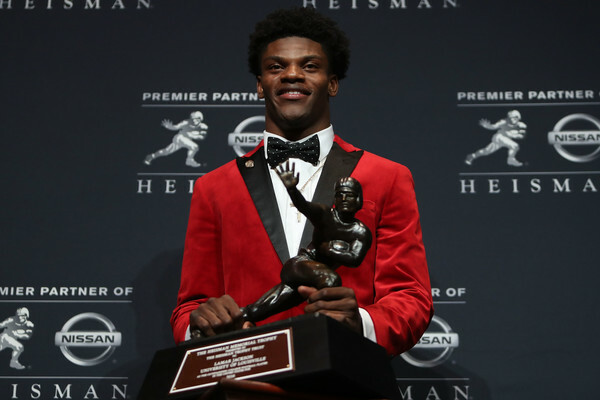 The 2013 team was incredible on offense averaging 51.6 points and 519 yards per game with Heisman winner Jameis Winston at the helm. The offense came back to earth last year averaging only 33.7 points and 441 yards per game. Winston is gone and Notre Dame transfer Everett Golson is in. Golson threw for 3,445 yards with 29 touchdowns and 14 interceptions last year, but was turnover prone at times. Dalvin Cook ran for 1,008 yards and 8 touchdowns last year, but his status is currently up in the air. The top two receivers are gone, but Travis Rudolph (38 catches for 555 yards and 4 touchdowns), Jesus Wilson (42 catches for 527 yards and 4 touchdowns), and Ermon Lane (13 catches for 267 yards and 1 touchdown) are ready to step up. Another negative is there is only one starter back on the offensive line in Roderick Johnson at left tackle. There is no doubting the talent here, but the lack of experience this year could hurt especially if Golson has a lot of turnovers. The defense has been excellent under Fisher. Between 2010 and 2013, the defense did not allow more than 20 points or 360 yards per game (three seasons under 300 yards per game). 2014 was the worst season for the defense under Fisher with 25.6 points and 397 yards per game allowed. This year, seven starters are back including the top four tacklers. On the defensive line, DeMarcus Walker and Derrick Mitchell are back with Walker recording 38 tackles, 1 sack, and 5 tackles for loss. Linebacker is loaded with Reggie Northrup and Terrance Smith both returning. Northrup led FSU with 122 tackles while also recording 1 sack, 3 tackles for loss, and an interception. Smith was the #3 tackler with 87 and also put up 3.5 tackles for loss and 2 interceptions. The secondary is also loaded with three starters back led by Jalen Ramsey. Ramsey had 79 tackles (#4 on the team), 3 sacks, 6.5 tackles for loss, 12 pass breakups, and 2 interceptions. It is no surprise he was named a 2nd Team All-American last year. The defense will be better in 2015. Florida State opens with Texas State and South Florida both visiting Tallahassee. Their non-conference schedule ends with the final two games of the season against Chattanooga at home and a visit to the Swamp to face Florida. In conference, they will have winnable road games against Boston College and Wake Forest before a stern test against Clemson. Louisville, Syracuse, and North Carolina State will also be visiting Tallahassee. From the Coastal, FSU will take on Georgia Tech (road) and Miami (home). The offense is a bit of a concern, but once again FSU will be a contender to win this division. Bobby Petrino was here at Louisville from 2003 through 2006 where he won both a C-USA and Big East Championship. Over those four seasons, Louisville went 41-9 and also won the 2007 Orange Bowl. After a failed attempt in the NFL, he returned to coach Arkansas where he went 34-17, but again his tenure ended badly and in controversy. He went to Western Kentucky for a year before replacing Charlie Strong prior to the 2014 season where Louisville went 9-4 in their inaugural ACC season. Petrino’s teams have always been known for their offense and he will have five starters back in 2015. Last year, the offense put up 31.2 points and 395 yards per game without Teddy Bridgewater. Will Gardner returns after throwing 1,6691 yards with 12 touchdowns and 3 interceptions, who had several injuries during the season. Brandon Radcliff ran for 737 yards and 12 touchdowns and also have Malin Jones available after transferring from Northwestern. The Cardinals lose their top wide receiver in DeVante Parker, but James Quick returns after grabbing 36 passes for 566 yards and 3 touchdowns. Also entering the mix is Ja’Quay Savage from Texas A&M, who was highly touted out of high school. The offensive line has only two starters back, but in year two of Petrino’s offense, this group should be able to match last year’s production. The defense has only four starters back from a group that allowed 21.8 points and 309 yards per game. The line has two starters back in Sheldon Rankins and Pio Vatuvei. Rankins was fourth on the team in tackles last year with 53 while also recording 8 sacks, 5.5 tackles for loss, and 2 interceptions. The linebacking unit has two starters back in Keith Kelsey (87 tackles and 6 sacks) and James Burgess (71 tackles, 3 sacks, 7 tackles for loss, and 3 picks), but the biggest addition is former TCU and 2012 Big 12 Defensive Player of the Year, Devonte Fields. Fields will be wreaking havoc all year long if he stays healthy and has been cleared to play this season. The secondary has zero returning starters, but two former Georgia players resurface here in Josh Harvey-Clemons and Shaq Wiggins. The defense will be solid again in 2015. Louisville opens the season with a neutral site game in Atlanta versus Auburn before Houston comes to town. The non-conference schedule concludes with Samford in week four and a road game at Kentucky on the final weekend of November. The Cardinals will face North Carolina State, Florida State, and Wake Forest on the road while playing Clemson, Boston College, and Syracuse at home. From the Coastal Division, Louisville will play Virginia (home) and Pittsburgh (road) in two winnable games. Louisville has been picked fourth due to some losses on offense and defense, but do not sell them too short. They can move up in Petrino’s second season and have a chance to win the division. Boston College appeared in two ACC Championship games in 2007 and 2008, but lost both of those contests to Virginia Tech. Since then, BC has not registered higher than eight wins in a season and have had two losing seasons as well. Steve Addazio started in 2013 and has led BC to back-to-back 7-6 seasons with losses in the bowl game each year. Year three for Addazio is a mixed bag with some positives and some negatives. The offense averaged 26.2 points and 384 yards per game last year despite only two starters back. That number is doubled to four this year, but one of them is not quarterback Tyler Murphy, who accounted for 1,623 yards passing, 13 touchdowns, and 10 interceptions. He also was the leading rusher with 1,184 yards and 11 touchdowns. Darius Wade is likely to win the starting job, but he has thrown only 8 passes (3 completions for 23 yards) in his career. The good news is that the entire running game returns minus Murphy. Jon Hillman ran for 860 yards and 13 touchdowns, Myles Willis had 459 yards and 2 touchdowns, Sherman Alston had 352 yards and 2 touchdowns, Marcus Outlow ran for 243 yards, and Tyler Rouse ran for 214 yards and 3 touchdowns. Dan Crimmins is the top receiver returning with only 305 yards on 25 catches, but the leader was not much better with 27 catches for 346 yards. The wide receivers only had 933 yards combined. The offensive line will be brand new in 2015 with no starters back. Murphy accounted for a lot of production last year and the Eagles may not top last years numbers. The defense was excellent last year by surrendering only 21.3 points and 324 yards per game and there will be six starters back. The rush defense was incredible giving up 94 yards per game and the entire starting line returns. Mike Strizak had 43 tackles, 1 sack, and 4 tackles for loss while Kevin Kavalec recorded 40 tackles, 3.5 sacks, and 7 tackles for loss. The line is the strength of the defense and will be important to helping the other units come together. Steven Daniels is the lone returning starter at linebacker. Daniels had 72 tackles (#2 on team), 1.5 sacks, 5.5 tackles for loss, and an interception. He will be flanked by the inexperienced, but talented Connor Strachan (12 tackles last season). The secondary has only Justin Simmons back, but he led the team in tackles with 76 as well as recording 1 sack, 5 pass breakups, and 2 interceptions. The defense may not match the numbers of 2014, but should be close. Boston College opens with back-to-back FCS teams at home with Maine and Howard, which puts them in an interesting spot for a bowl game. Should BC win those games, they would then need to win 7 games on the season. If they lose those games, they would still only need to reach 6-6. The other non-conference opponents are Northern Illinois (home) and Notre Dame (Boston). The face Florida State, Wake Forest, and North Carolina State at home while playing Clemson, Louisville, and Syracuse on the road. From the Coastal division, BC will take on Duke (road) and Virginia Tech (home). BC will need an upset to reach a bowl game for the third straight year in 2015, but are capable of getting that upset. Between 2005 and 2009, Syracuse did not win more than four games in a season. In 2010, they went 8-5 before falling back to 5-7 in 2011, but bounced right back up to 8-5 in 2012. Scott Shafer took over in 2013 and led Syracuse to a 7-6 with a bowl victory over Minnesota. Last year, the Orange went 3-9 with eight losses by double digits. A similar season for Shafer could spell the end of his time at Syracuse. The offense has seven starters back from a team that put up only 17.1 points and 330 yards per game. Quarterback Terrel Hunt threw for 983 yards with 1 touchdown and 4 interceptions in an injury shortened season. AJ Long threw for 935 yards with 4 touchdowns and 8 interceptions while Austin Wilson threw for 253 yards and 4 interceptions. The top two running backs are gone with Devante McFarlane the top back. He ran for 169 yards on 28 carries while Ervin Phillips rushed for 194 yards. The top wide out is also gone, but Steve Ishmael (27 catches for 415 yards and 3 touchdowns), Ben Lewis (24 catches for 275 yards and 1 touchdown), Ashton Broyld (15 catches for 174 yards), and Brisly Estime (10 catches for 140 yards and a touchdown) all returning. Three starters are back on the offensive line and if the quarterback position stays healthy this year, the numbers can only go up. The defense was solid last year allowing 24.3 points and 349 yards per game. This year, three starters return with one at each level. Ron Thompson is the lone returning lineman after recording 32 tackles, 3 sacks, 4 tackles for loss, and 5 pass breakups. Marqez Hodge back after recording 38 tackles, 3 sacks, and 2.5 tackles for loss in an injury shortened year. The secondary has Julian Whigam back after recording 28 tackles, 1.5 sacks, and an interception. With the lack of experience on defense, it would be a surprise if the numbers did not regress. Syracuse opens the season with four consecutive home games against Rhode Island, Wake Forest, Central Michigan, and LSU. They close out the non-conference slate after a bye on the road at South Florida. In conference, the Orange will take on the aforementioned Wake Forest team as well as Pittsburgh and Boston College at home. On the road, they will play Florida State, Louisville, and North Carolina State. From the Coastal division, Syracuse will face Pittsburgh (home) and Clemson (road). It is difficult to see Syracuse navigating their way to a bowl game in 2015 with the inexperienced defense, but could come close. Wake Forest won the 2006 ACC Championship and played in the 2006 Orange Bowl, but lost to Louisville 24-13. Since that magical season, it has been downhill for the Demon Deacons. They went 9-4 in 2007 and 8-5 in 2008, but failed to achieve a winning record since then with only a 2011 bowl loss to show for it. Dave Clawson was hired from Bowling Green to turn around the program and he led the team to a 3-9 record last year. The offense was putrid last season with only four starters back. The numbers were 14.8 points and 216 yards per game with the rushing offense averaging a pathetic 40 yards per game. John Wolford threw for 2,037 yards with 12 touchdowns and 14 interceptions and he will have his top target back. Cam Serigne, a tight end, caught 54 passes for 531 yards and 5 touchdowns. The top wide receiver from last year is Jared Crump, who caught 32 passes for 339 yards and a touchdown. The running game has the top rushers back in Dezmond Wortham and Isaiah Robinson. Wortham ran for 240 yards on 84 attempts (2.9 YPC) while Robinson had 175 yards and 3 touchdowns on 98 carries (1.8 YPC). The offense should perform better in 2015 in year two of Clawson’s system and a total of seven starters back. The defense returns seven starters like their offensive counterparts. For as bad as the offense was, the defense was respectable by giving up 26.4 points and 369 yards of offense per game. The line has three starters returning led by Josh Banks, who had 36 tackles, 4 sacks, and 3.5 tackles for loss. The linebacking unit has three starters back. Brandon Chubb was second on the team in tackles last year with 109, but also had 3 sacks and 3.5 tackles for loss. Fellow linebacker Marquel Lee had 101 tackles (#3 on team) as well as 4 sacks and 8 tackles for loss. The secondary has just Ryan Janvion back, but he was the top tackler at 115. He also recorded 7 tackles for loss and 6 pass breakups. The defense could be solid again in 2015. Wake Forest opens with Elon at home before back-to-back road games versus Syracuse and Army. They face Indiana in week four at home and then travel to Notre Dame in mid-November for the final non-conference game. In addition to Syracuse on the road, Wake Forest will play Boston College and Clemson as well. At home, they will take on Florida State, North Carolina State, and Louisville. From the Coastal, Wake Forest draws North Carolina (road) and Duke (home). Wake Forest will not be contending for a bowl game in 2015, but 3-4 wins would be good for this group. The ACC Atlantic will come down to the quartet of Clemson, NC State, Florida State, and Louisville. Behind them will be Boston College and Syracuse as that duo will need an upset or two to reach a bowl game. Wake Forest is probably a year or two from a bowl game. Below is the predicted order of finish. On Tuesday, we predicted that North Carolina would win the ACC Coastal. With Clemson projected to take the ACC Atlantic, that would set up UNC versus Clemson for the ACC Championship. If that were to be the title game, Clemson is predicted to win the ACC Championship. Check back on Tuesday as we dive into the Big 10’s West Division.